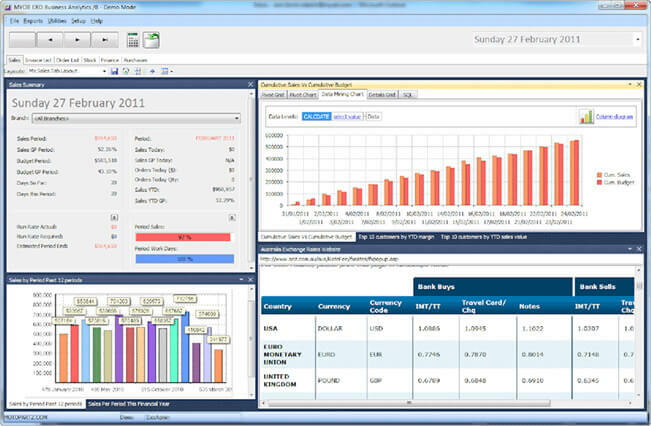 MYOB EXO Analytics is included with the EXO Finance (Core) module. MYOB EXO Analytics offers visibility into your business using a variety of customisable dashboards and reports. 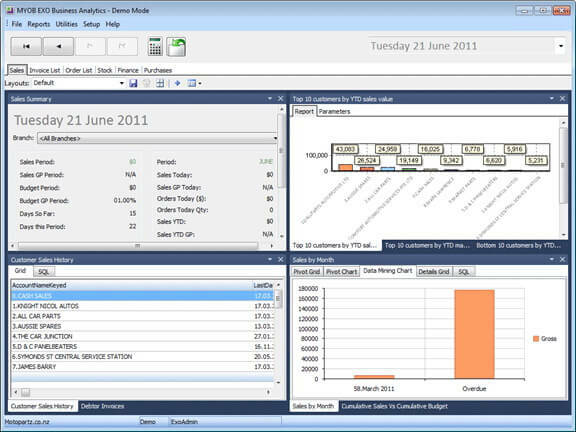 You also can export data to other tools such as Microsoft Excel.